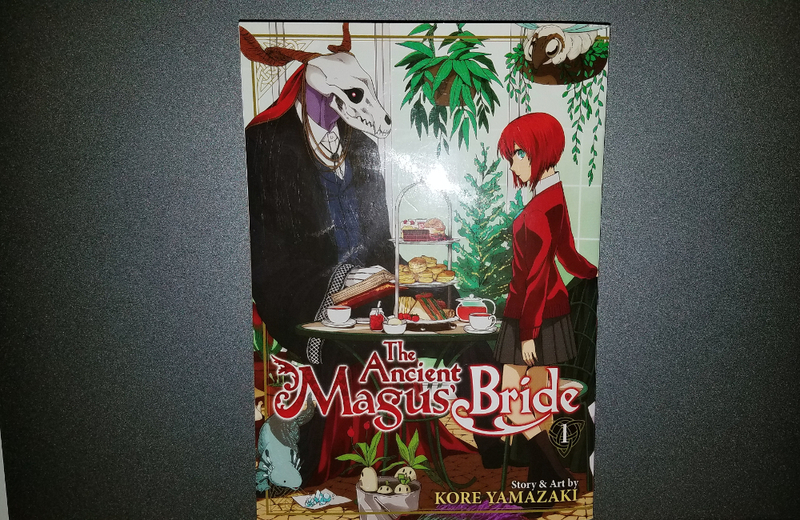 I read volume 1 of Kore Yamazaki’s The Ancient Magus’ Bride tonight, partly because Yamazaki is a guest of honor at this weekend’s Crunchyroll Expo in Santa Clara, California. I had heard praise for that manga over the past couple years but didn’t know much about it. This first volume engaged me with its characters (mage Elias, his apprentice Chise, and Elias’ various acquaintances), fantastical creatures, and recurring talk about magic gradually fading out of practice. 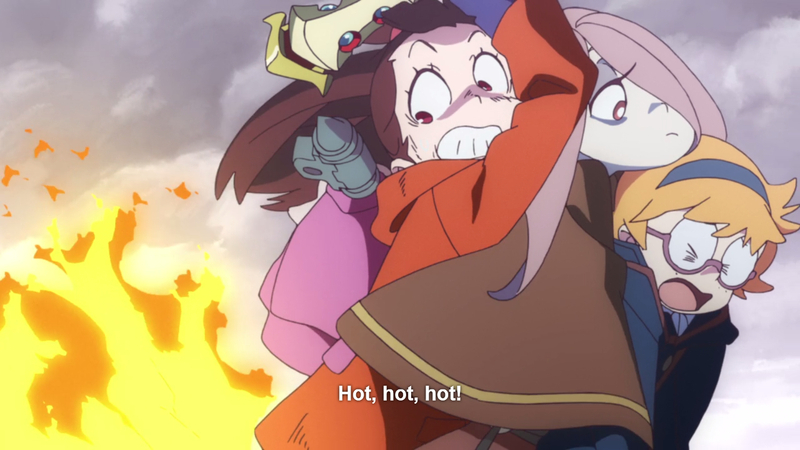 I’ve been thinking about how Crunchyroll Expo appears to be organized more like a media expo than like a fan-run convention. 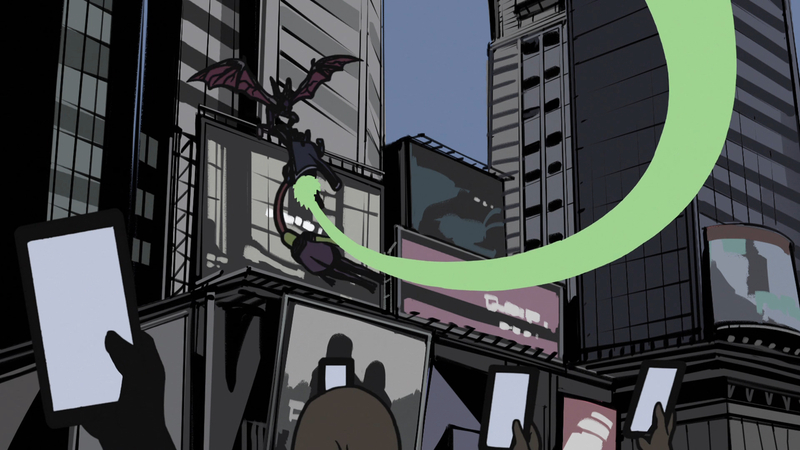 Many of its guests have prior connections to Crunchyroll or its parent companies (Otter Media and Ellation): Rooster Teeth and Cartoon Hangover appear on the VRV video service (operated by Ellation); some of the YouTube “influencers” have Crunchyroll free trial affiliate links or sponsored videos; and upcoming anime series Kino’s Journey, Juni Taisen, URAHARA, and The Ancient Magus’ Bride have already been announced as simulcasts on Crunchyroll. Please note that I’m not implying any of the guests are not worthy of being invited; I’m just being conscious of its promotional aspects and how different my experience might be compared to Fanime or Otakon. 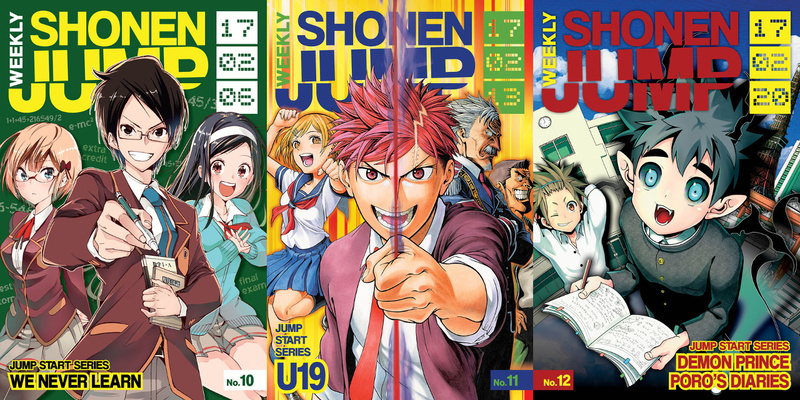 The English-language Weekly Shonen Jump digital magazine is in the middle of a six-series “Jump Start” event. 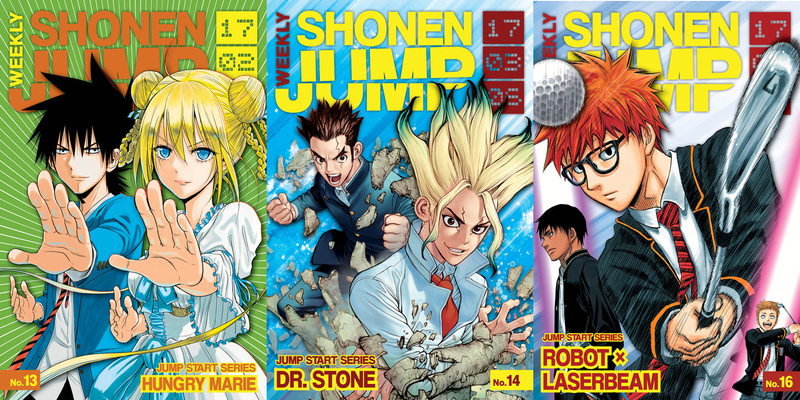 Three series have already debuted – high-school comedy We Never Learn, shonen action/drama U19, and monster comedy Demon Prince Poro’s Diaries – while the other three new series coming soon are Hungry Marie (February 27th), Dr. Stone (March 6th), and Robot x Laserbeam (March 20th). I recently bought a one-year subscription to Shonen Jump during a promotional sale, partly so I could easily check out the new manga debuts. Here are my short thoughts on the first three that have come out. 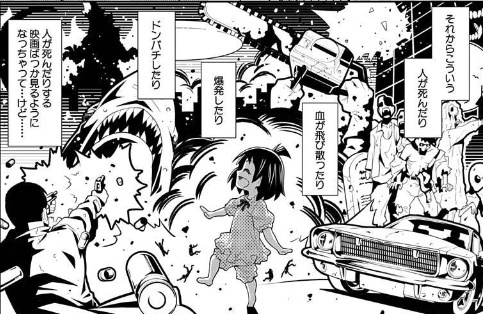 I found out through Comic Natalie last night that a new web manga series by Asai (@asumithi) called Kine-san no Hitori de Cinema debuted under Hakusensha’s Young Animal Densi label along with a handful of others. Kine-san is a 30-year-old office lady who watches movies alone and then writes her thoughts about them on her blog. The first chapter involves Kine watching Terminator 3 and replying to comments on her rating of the film as well as a flashback to her childhood involving the first Terminator film and her love of movies. According to Densi’s upcoming schedule, it looks like chapter 2 of Kine-san no Hitori de Cinema will debut on May 1st (two weeks from now). I’m looking forward to seeing what Kine-san watches next.